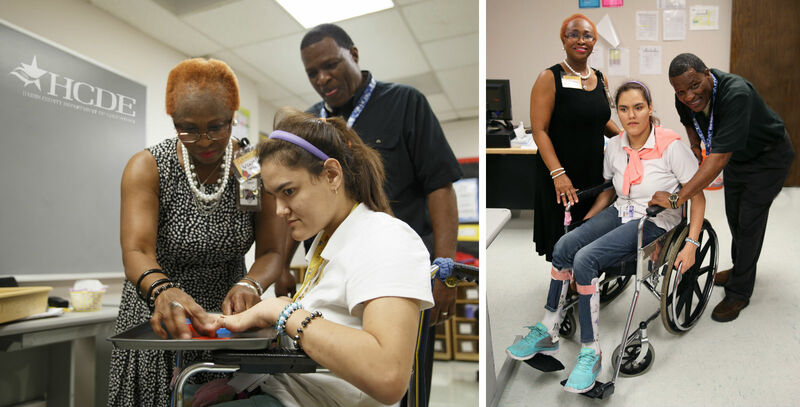 No school seemed right for Angelica Garcia – until her district enrolled her in HCDE’s Academic Behavior School West for developmentally disabled students. Angelica is a student with auditory, visual and orthopedic challenges. While her peripheral vision is intact, Angelica is legally blind and deaf, and she gets around with the help of a wheelchair. Parents Rolando and Yoahanka speak only Spanish, but they use a homespun sign language with their daughter. Previous schools understandably had difficulty communicating with Angelica, which caused frustration and acting out. 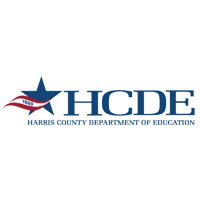 After being dismissed from the Texas State School for the Blind due to behavior issues, Angelica came back to Houston, where her parents were relieved to discover that Harris County school districts have the unique option to contract with HCDE. Angelica has been receiving one-on-one help at AB School West since February 2016, and her family has already seen tremendous progress. HCDE’s AB Schools provide learning environments for 249 students with intellectual or developmental disabilities or challenging behaviors. Low student-to-teacher ratios lead to students receiving the support they need to reach their goals. Described by her teachers and therapists as friendly, determined and independent, Angelica is thriving at AB School West. These days, her perpetual smile shows how much she loves going to school. She recently received the perfect attendance award and is currently on the honor roll. Her family has also mentioned that she is also calmer and happier outside of school. At AB School West, Garcia works daily with special education teacher Anderson Thompson III and blind/deaf intervener Gloria See. Working as a team, Thompson handles most of Garcia’s instruction, while See works as her eyes and ears to connect Garcia to the classroom and her peers. This kind of specialized instruction and care in the classroom creates an enriching learning environment for Garcia, as well as the 83 other students who attend AB School West. What makes the school unique is that each student has an individualized learning plan. Also, classes are small, with a 5-2 student to instructor ratio. Students range in age from 5 to 22 and are placed in age-appropriate classes.